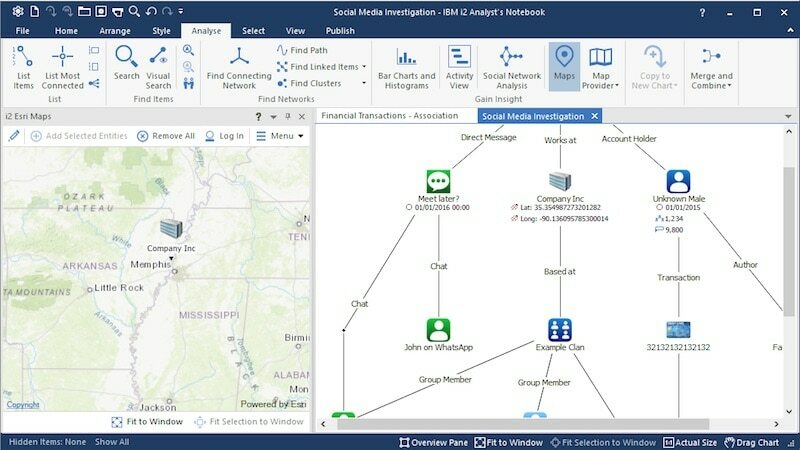 IBM i2 Enterprise Insight Analysis helps your organization turn overwhelming and disparate data into actionable insight and intelligence, in near real time. From national security and defense, to cyber and enterprise-wide threats, the solution helps you develop a comprehensive understanding of your threat landscape to identify vulnerabilities and disrupt threats. The combination of machine-led analytics and human-led analysis capabilities helps you quickly find hidden connections and critical patterns buried in internal, external and open-source data. Ingest and fuse data from varied, disparate sources. 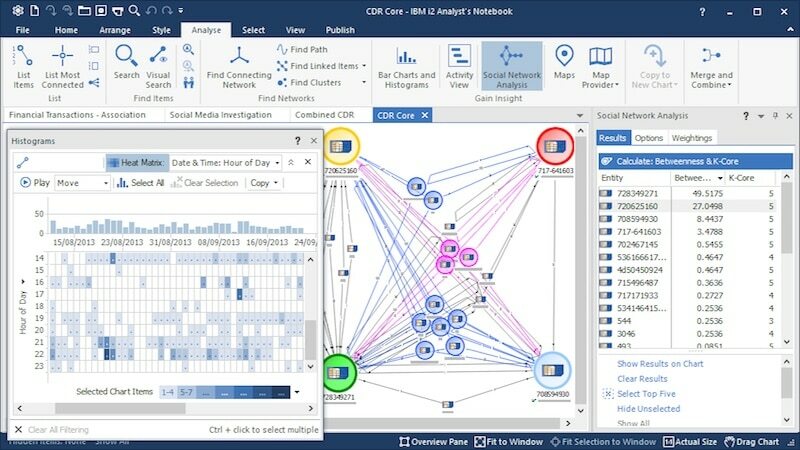 Analyze the data using advanced analytics with sophisticated visual analysis capabilities that provides your analysts with actionable intelligence. 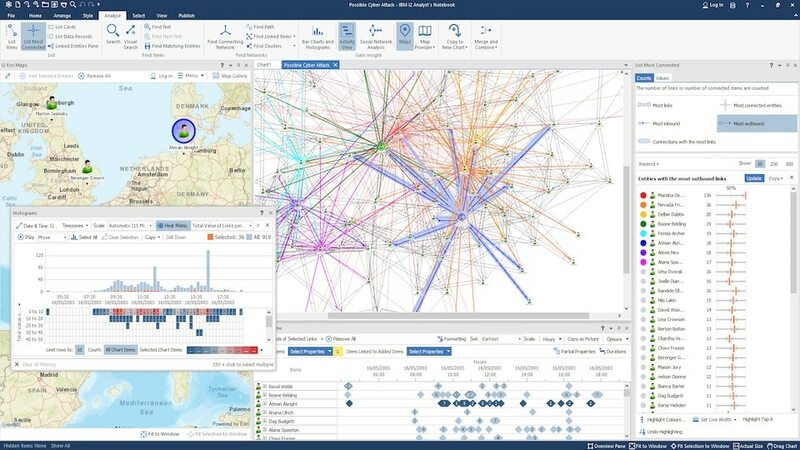 Integrates with third-party software and offers "i2 connect" data connector capability to leverage existing data and systems, collect new data and securely share your intelligence. 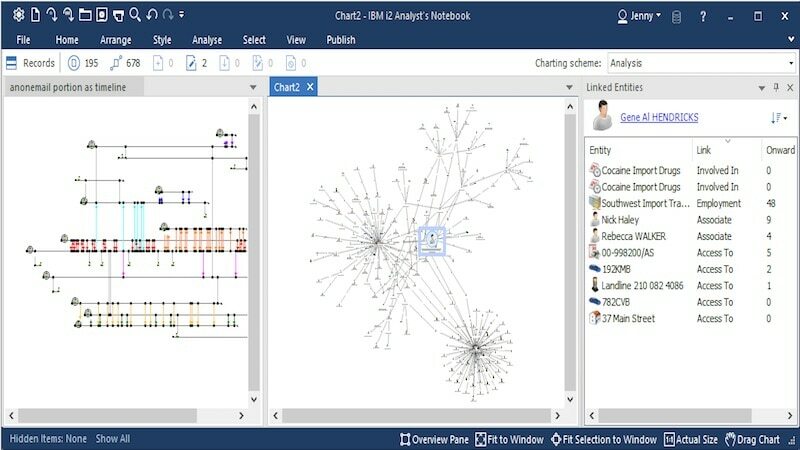 Designed to be scalable and interoperable, the software can be extended with add-on capabilities. Benefit from a cost-effective solution that reduces training, maintenance and deployment costs.